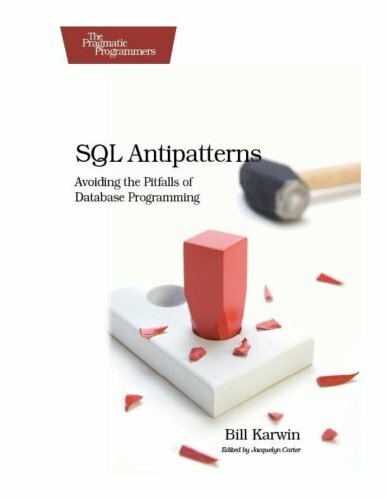 Bill Karwin has helped thousands of people write better SQL and build stronger relational databases. Now he's sharing his collection of antipatterns--the most common errors he's identified in those thousands of requests for help. If you have any questions about this product by Brand: Pragmatic Bookshelf, contact us by completing and submitting the form below. If you are looking for a specif part number, please include it with your message.